No.15 seed Ash Barty drops just four games in a clinical first-round dismissal of Thailand's Luksika Kumkhum at the Australian Open. 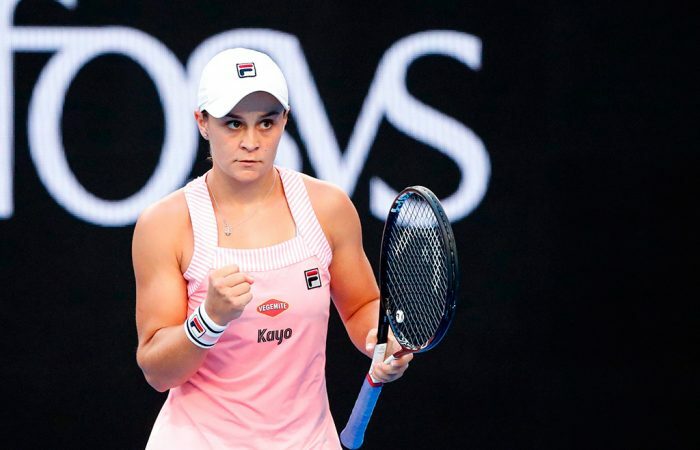 Top-ranked Australian Ash Barty has continued a green-and-gold day to remember at Melbourne Park, routing Luksika Kumkhum to move into the Australian Open second round. Barty, the 15th seed, defeated her Thai opponent 6-2 6-2 on Margaret Court Arena to set up a date with China’s Yafan Wang on Wednesday. 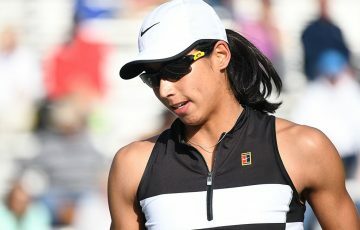 Wang earlier on Monday defeated Barty’s countrywoman Ellen Perez, yet three other Aussie women – Astra Sharma, Zoe Hives and Kimberly Birrell – were also first-round winners. One two punch, and she is through! The 22-year-old Barty took just 58 minutes to progress, but it didn’t start so easily for the Queenslander, who shocked a patriotic crowd by dumping her opening service game to go 0-2 down. But her response was swift and emphatic; she raced through the next six games for the loss of just nine points to claim the set. Barty’s all-action game quickly kicked into full swing. She won plenty of points at the net and found her rhythm from the baseline. Having claimed a decisive break in the second set’s fifth game, Barty charged on to finish her first-up assignment in less than an hour. 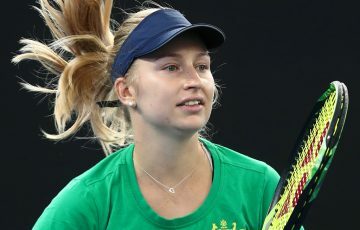 Despite her lead-up form – she played five matches at the Sydney International last week, finishing runner-up to two-time Wimbledon champion Petra Kvitova – Barty confessed to having pre-match nerves. Barty is aiming to become the first Australian woman to lift the Daphne Akhurst Memorial Cup since Chris O’Neil 41 years ago. Barty said she wouldn’t be looking past her next match. 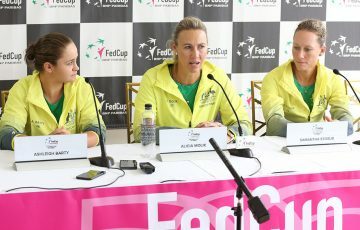 “I want to make sure for myself I prepare well so I can come out here and play with freedom and hopefully win a few matches,” she said. 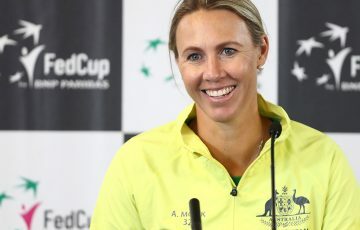 Other Australian winners on Monday were Alex De Minaur, Jordan Thompson, Matt Ebden and John Millman.